Review of the ASUS ROG Strix SCAR II Laptop. Yes, admittedly a name that is a bit of a mouthful, but with an 8th-generation Intel Processor and Nvidia 2070 graphics card, it's pretty clear that we can expect some performance from this. If you are currently in the market for a brand new gaming laptop, you are not exactly struggling to have various brands and designs thrown at you. One of the most popular, however, is almost certainly the ASUS ROG Republic of Gamers branding. This isn't, incidentally, without good reason. ASUS has been working very hard over the years to make the ROG branding stand out as the pinnicle of performance for those who place a key emphasis on power and presentation. With this in mind, we look at the ASUS ROG Strix SCAR II. 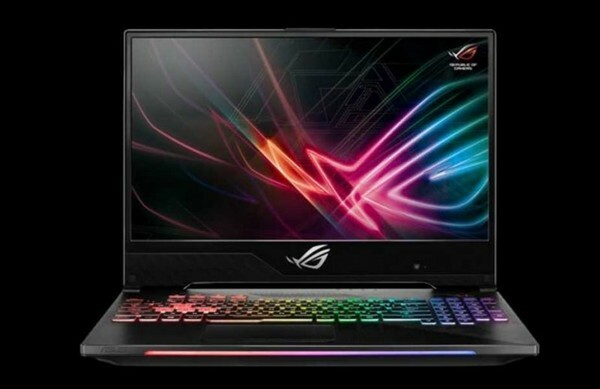 Asus ROG Strix SCAR II Laptop kaufen.